Crews Battle 2-Alarm Fire at Triple Decker in Lynn, Mass. Firefighters battled a 2-alarm fire in freezing temps Thursday night. 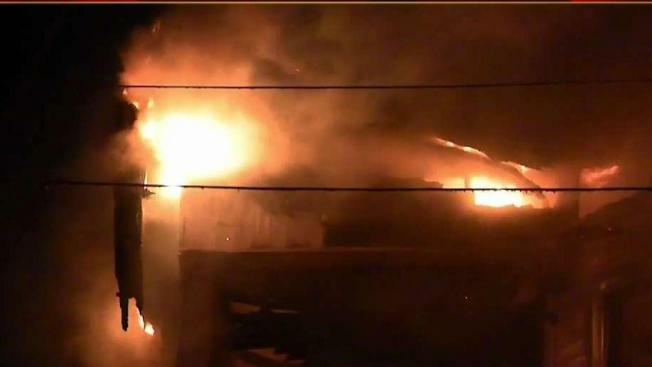 Firefighters are battling a 2-alarm fire in Lynn, Massachusetts, Thursday night. The fire started at triple decker on Grover Street. All residents have been accounted for, according to fire officials. One firefighter suffered a minor foot injury. It's unclear how many people were displaced by the fire. Frigid temperatures and wind made battling the flames tough, according to fire officials. Video from the scene shows fire coming through windows and the roof of the triple decker.